The Elemental Nest+ Fold tables by Smith System provide a stable, spacious work surface in a contemporary design. When not in use, they fold and store easily to allow mobility and compact storage. 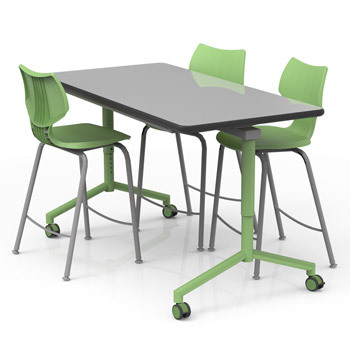 Students may sit or stand at both sides as these tables adjust from 29"-40"H. Let your colors fly and demonstrate school pride or just add some variety to your classroom color scheme.